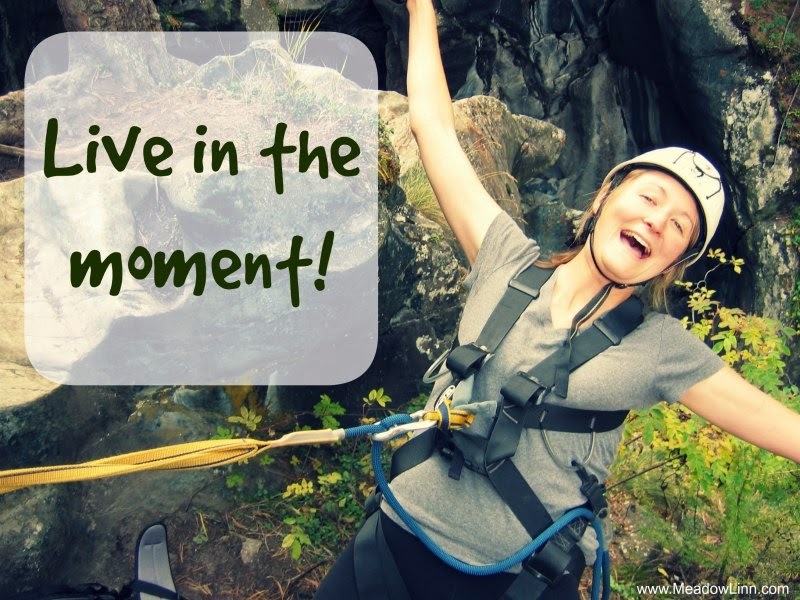 SAVOR THE DAY: Live Your Life Now! I had an epiphany last night while I was walking my dog on a cold, rainy evening and gleefully stomping through puddles with my new rain boots. 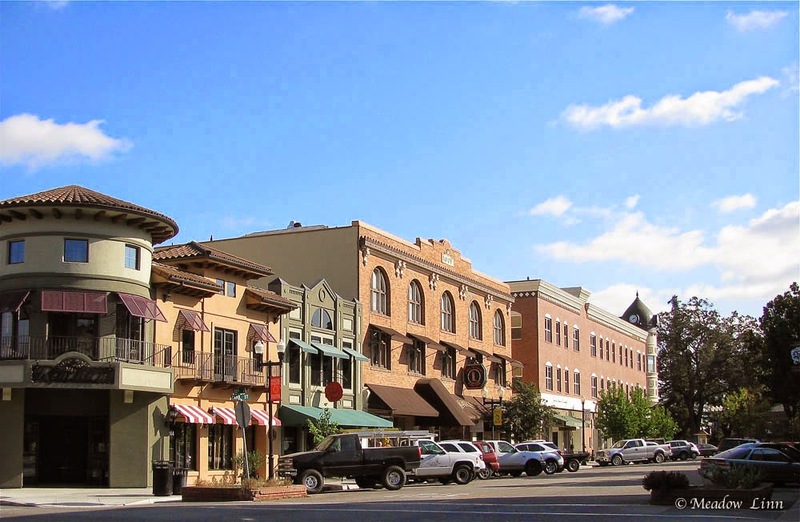 As I was strolling the streets of downtown Paso Robles and noticing the many new, and very hip, stores and restaurants that have been mushrooming around the town square, I was struck by the awesomeness of my town. Many people would count the days until a weekend getaway here, and I live just blocks from the cute boutiques, wine tasting galore, and amazing restaurants. This town is cool. It doesn’t need to change. I need to change. A couple years ago, I started biding my time. My parents decided to look for property in Northern California and without many friends here, I figured that whenever they moved, I would most likely follow suit. I didn’t have a plan of where or when I’d go, but I was pretty certain that I could only find the life of my dreams elsewhere. However, as I was walking in the dark and admiring the twinkling lights in the trees and hearing the drip, drip, drip of rain, I realized that I need to make a change. But, not necessarily the kind of change that I’d been intending. Perhaps I’ll head to a bigger city when my parents move to the new home they’re building, but that is yet to be determined. However, right now, I have a choice: I can continue down this path that puts all my focus and attention on “when,” or I can make a greater effort to live fully and joyously in the present. I live in a constant state of “when.” When I move/fall in love/get married/have children/excel in my career, then I’ll start exercising, spend increased time outdoors, lose weight, make more money, travel more, have dinner parties, spend time with friends... The list goes on and on. The thing is…I live right now. “When” is in the future. 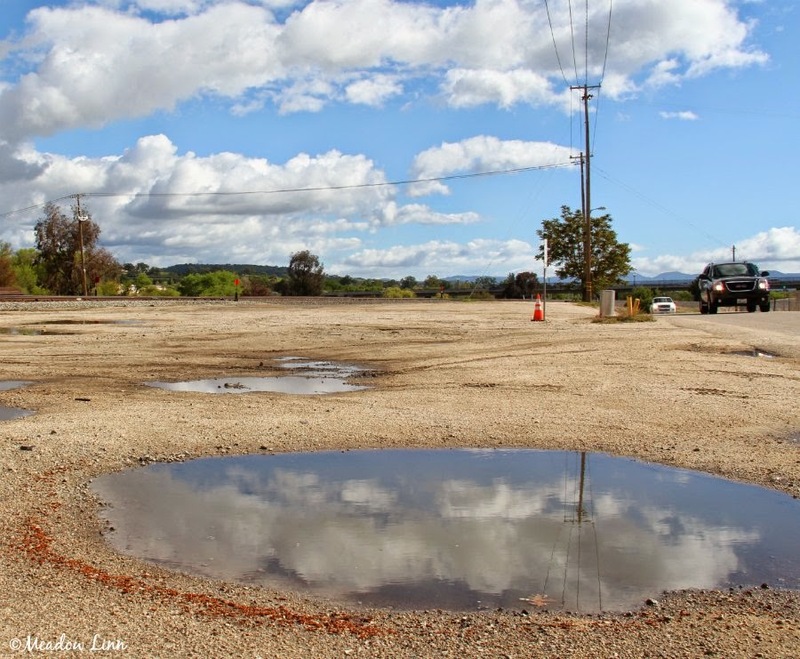 Plus, it’s uncertain whether any of the “when” things will come to fruition, so doesn’t it make more sense to give more attention to the present? For instance, I could decide right now to be more active instead of waiting for something miraculous to happen in the future that will inspire me to exercise regularly, and I could decide right now to make more time for fun rather than wait for life to somehow be better in the future. Although I’ve spent a good portion of my life waiting for the future, I’m learning the importance of spending more time savoring the precious moments of each and every day, even the ones that seem boring, frustrating, or painful. I’ve wasted so much time waiting for “my life to turn out.” The truth is…it’s happening right now. The mother of a good friend that I've known since the 7th Grade died suddenly and unexpectedly a month ago. Two weeks before that, she’d been hiking and playing with her grandkids. We never know what could happen. It can feel morbid to live life in constant worry that it could end at any time. So, I invite you instead to simply spend as much time cherishing each day as much as you possibly can. I'm going to make a greater effort to do this as well. I’m going to extricate myself from my computer more often, wander the streets of my sweet town on sunny afternoons, and make an effort to meet more people. Here's to loving more, living more, and laughing more!!! One of the reasons I love cooking is that it requires full attention. When I get distracted and start thinking too much about other things, that’s usually when I overcook or sometimes even burn my dinner. When I’m developing a new recipe I become so focused that the past and future seem to fade away, and there’s nothing but the present. 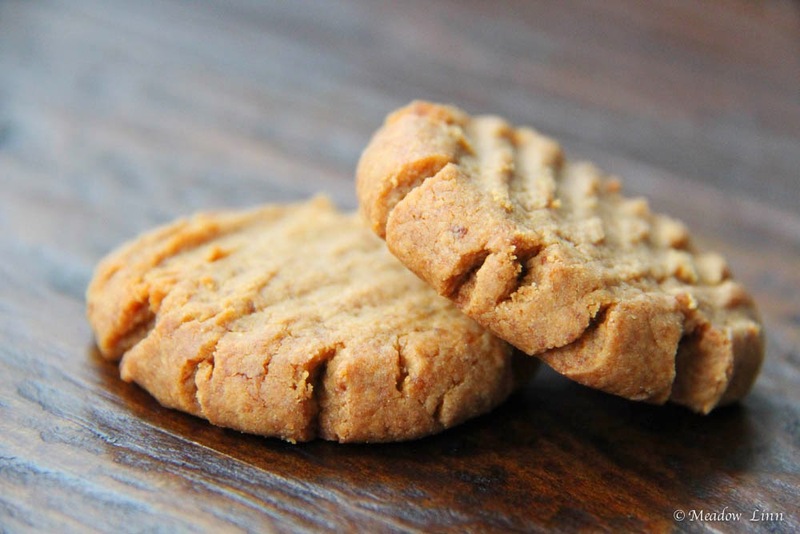 A few days ago I stepped into my kitchen with the intention of creating a delicious peanut butter cookie without any flour. Hours later I emerged, triumphant. There’s something really satisfying about being so in the moment. 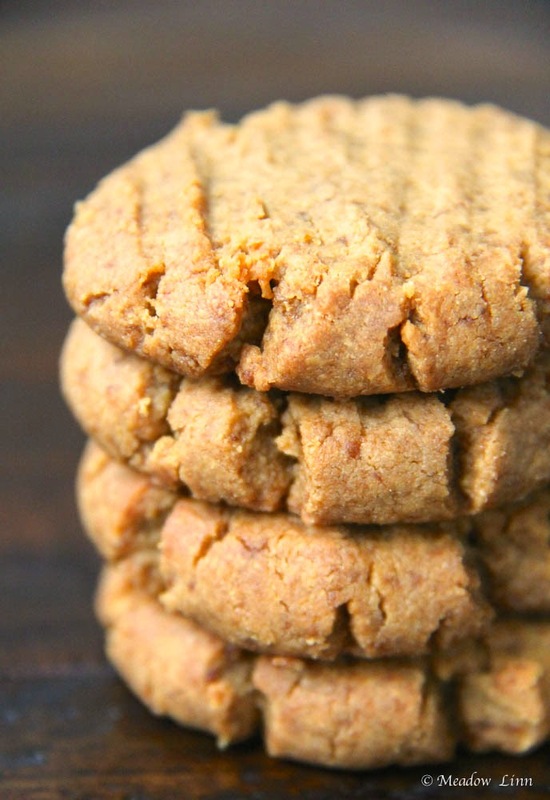 These cookies have a texture similar to shortbread or pecan sandies, which I love. However, if you’d like them chewier, add another egg. They’re especially tasty with a cold glass of milk (or dairy-free alternative) or a steaming cup of tea or coffee. Preheat the oven to 350ºF. Line two baking sheets with parchment paper. In the bowl of a standing mixer fitted with a paddle attachment, combine the peanut butter and coconut sugar and beat on medium to medium-high until light and airy, about 2-3 minutes (Start the mixer on low and slowly increase the speed). Scrape down the sides as necessary. Add the egg and vanilla and beat until fully combined. The dough will be a bit crumbly, so press firmly as you roll the dough into balls the size of plump cherries. Spread them out evenly between the two baking sheets. Use a fork to gently press the balls into flat disks. Bake until the edges are golden, about 10 minutes.